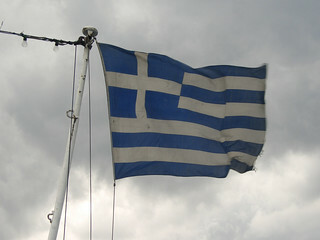 Greece: to a great extent an island nation. 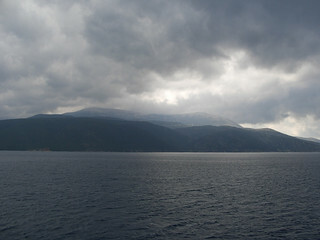 For those visitors not on direct flights to the islands, many ferries traverse these lovely seas, but beware: Greek ferry timetables and routes deserve special respect and knowledge; a successful journey may also involve a degree of good luck, some prayer, patience and ability to remain unruffled. So, how do you go about ensuring you get a head start and avoid some of the major pitfalls? For some, Greek ferry schedules can be bewildering. Often just the name of the island may be indicated – this may have to do with the island and its capital having the same name! Alternatively, you may need to look up the names of some ports, e.g. Heraklion (in Crete) as the name of the island itself may be missing! If you manage to work out something like Evdilos being on on the island of Ikaria, you’re a long way there already! 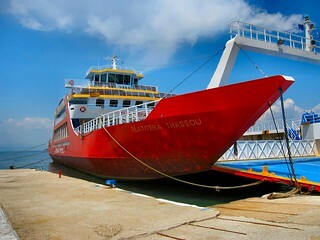 (Similarly, Marmari is on Evvia, Katapola is the main port on Amorgos, Vathi meaning “deep”, is on Sifnos – or Samos! – and Karlovasi is definitely on Samos!) You get the drift then, that quite a bit of research is necessary. Even if something is printed, or present in an official website, always double-check, especially just before you travel. Ferry schedules can change, these changes do not always find their way into printed or digital media immediately and you want to be informed as soon as possible to adjust your travel plans. 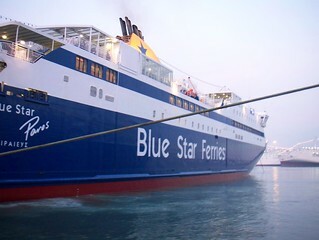 You should also check what type of ferry it is, i.e. is it a normal ferry, a hydrofoil (flying dolphin), is it vehicle and passenger or passenger only and so on. These issues have implications in terms of accessibility, travel time and cost. Whatever you do, don’t take just the word of a local as gospel – people may rather give you their version of the truth than admit lack of perfect knowledge and they do so want to help: however, they may end up giving you wrong advice! Equally, do not ignore local advice, but double-check it with someone official – fortunately English is widely spoken in Greece. 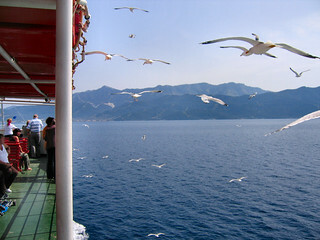 A final suggestion: do enjoy the trip – Greeks are pretty hospitable, good company on ferry trips and the natural surroundings can be pretty special too!